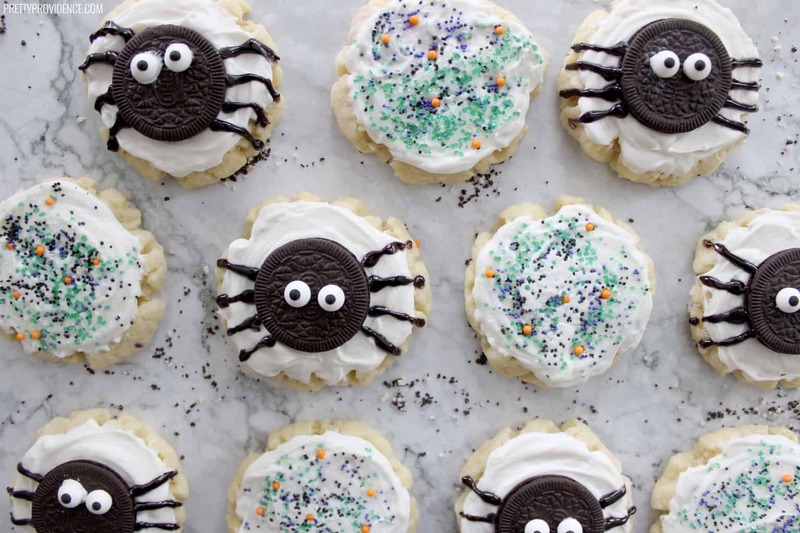 How cute are these easy spider halloween cookies? 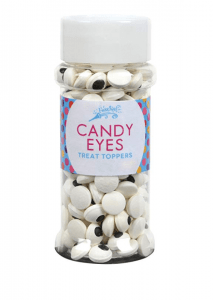 Perfect halloween treat for any party or get together! If you’ve been around here long then you know my favorite way to get festive for any holiday or event is with food! I mean there is nothing better than something that is adorable and delicious am I right? 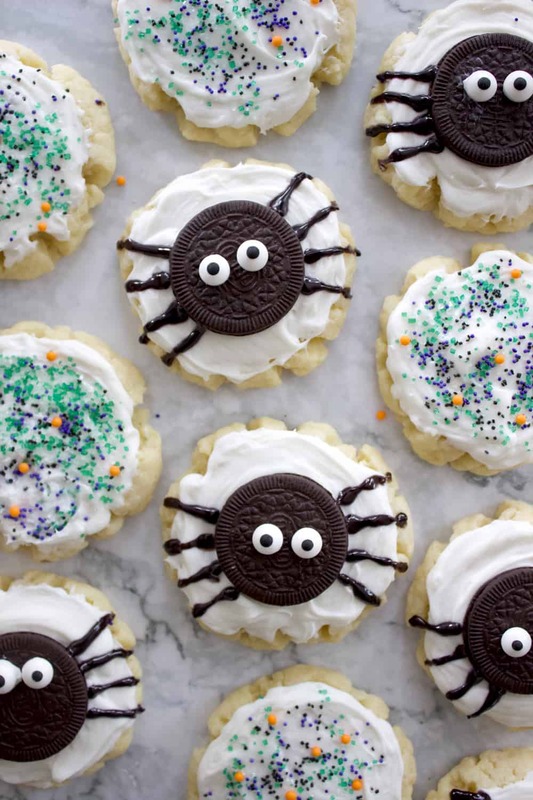 Well, that is exactly what these cute spider Halloween cookies are! They are fun and easy to make and twice as fun to eat, haha! You can make your own favorite sugar cookie recipe from scratch (here’s a good one). Or, use a ready made sugar cookie mix to make these super easy. For the cookies pictured above I used my favorite Swig Sugar Cookie Box mix to save some time. Who ever said that being the “fun mom” had to be hard or time consuming ;)? I don’t know about you guys but I am more of a “cute halloween” person than a “scary halloween” person. So, when I set out to make a cute halloween cookie recipe I thought a friendly spider would be fun! They were so quick to whip up and my kids and their friends still talk about them! Ready for the easy recipe?! Cute and easy spider halloween cookies! Perfect halloween treat for any party or get together! Prepare your sugar cookies according to recipe or package directions and frost with white icing. Place an Oreo near the center of each frosted sugar cookie. 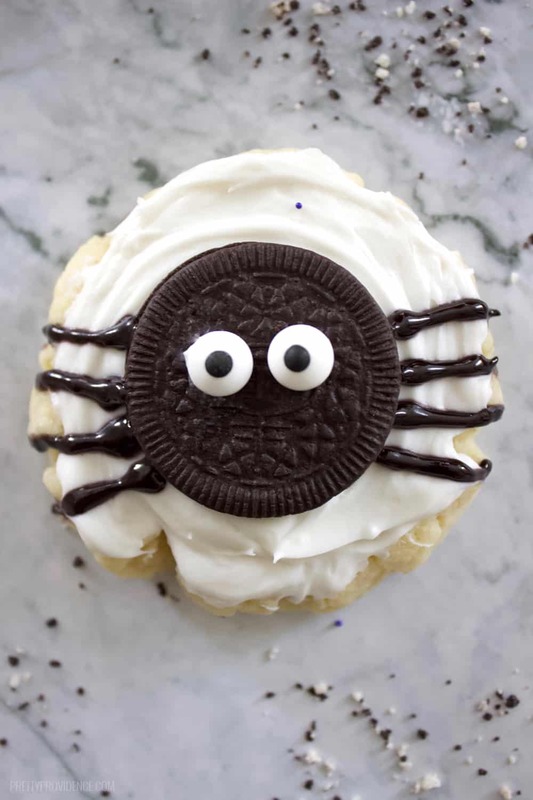 Use black icing to draw four lines on each side of your Oreos to make the spiders legs. 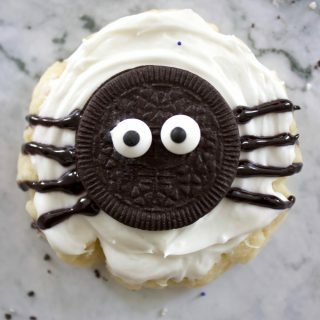 Stick the back side of your candy eye into a bit of leftover frosting and stick on your Oreo to make the spiders eyes. *Optional* Sprinkle leftover cookies with Halloween sprinkles. Enjoy! Bring on all the holiday fun! Does it get any cuter than these!? I’m in love with this idea! What a great Halloween dessert!! LOVE!!! Oh my goodness! So cute! I can’t wait to try this recipe! 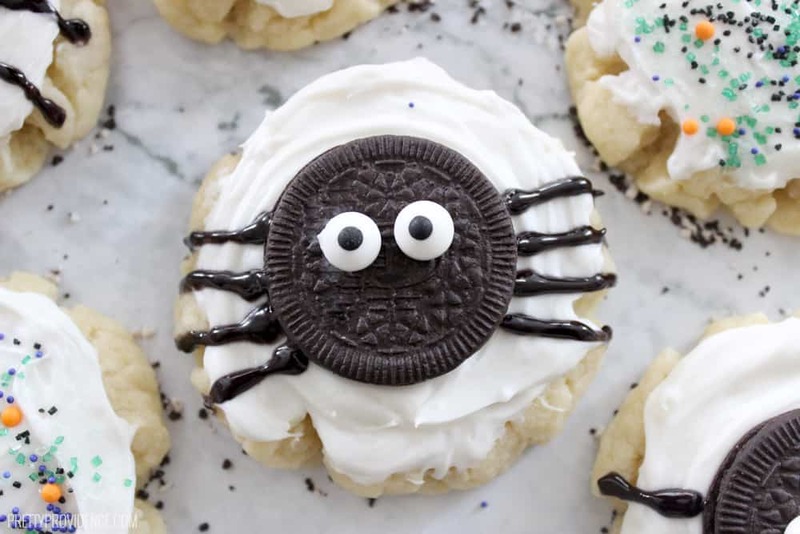 these spider cookies are so stinkin’ cute! and, I am all about boxed baking mixes! i think they taste even better than made from scratch baked goods. my husband calls it “half-scratch” – haha! 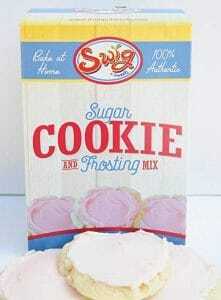 i’ve never tried swig mixes, but i’ll definitely be giving them a try after seeing how delicious your cookies look! thanks for the inspiration. i know my kids will love these! Yay! I totally agree with you about the “half-scratch”! They are so yummy! I like both cute and scary on halloween. I love these cookies for the cute! Totally adorable! I can’t believe how cute and easy these look! What a great Idea for halloween!